This historic church was finished in 1896. 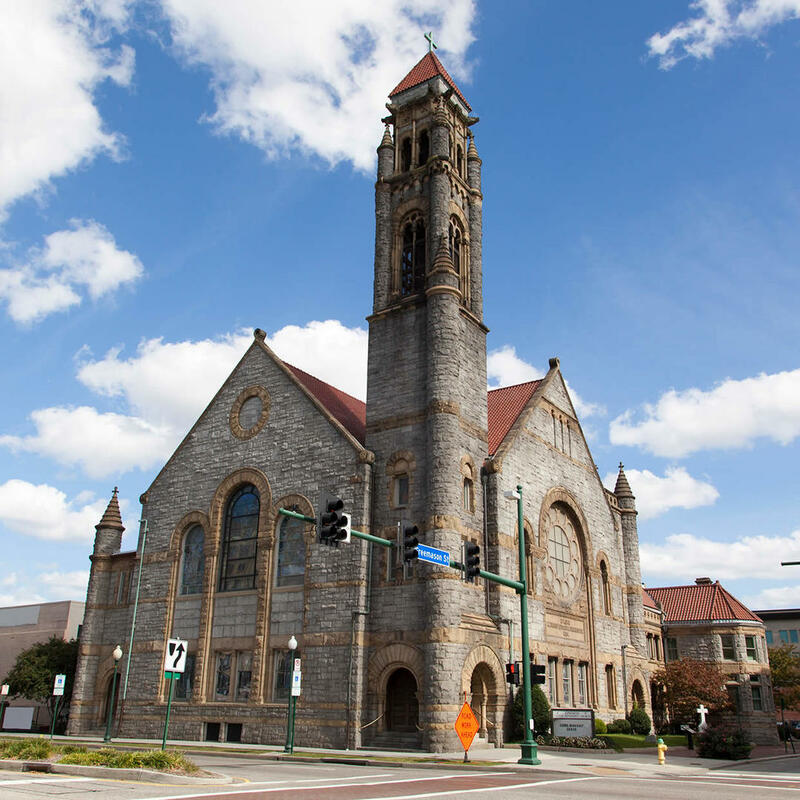 Built of granite and yellow sandstone, this imposing place of worship was designed in the Richardsonian Romanesque style. Other notable features include 22 stained glass windows include two Tiffany windows and a grandiose bell tower under a red tile roof. The church offers "alternative worship" events such as the pet-friendly "Paws in Faith" service.